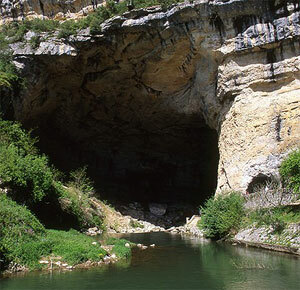 The Ariege has the largest concentration of caves in France and is one of the few remaining places where the public can see original cave paintings, created by Magdalenian man between 12,000 and 9,000 BC. The cave at Mas d’Azil is one of the very few caves which have a road going through it. Discoveries there led to the identification of the Azilian Age. The cave was inhabited continuously since the Magdalenien age and huge quantities of tools and other artefacts were found there. Many are on display in the Museum of Prehistory in the village. Tours of the cave are given throughout the day. Also fascinating for adults and children alike is the subterranean river at Labouiche (between Foix and the Bastide de Sérou). It is the longest navigable underground river in Europe at 60 metres below the ground. From April to mid November you can take guided boat ride along a 1½ km stretch of it. And if all that sounds too exhausting, why not just sit back and enjoy the plethora of restaurants, pretty towns, cafe life, history and architecture that this region does so well; there really is something for everyone here.